The middle of the night is the last time you want your power to go out. How will you get ready for work? Make your coffee? What about the food in the refrigerator? The idea of calling around to try to find someone to come out at 2 a.m. is dreadful. Luckily, you have Paul’s Electrical Services. When your power goes out, don’t panic. Pick up the phone and call Paul’s, the premier emergency electrician in Greenacre. 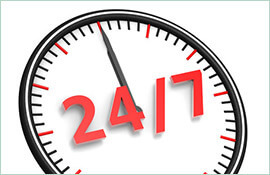 We are available 24/7 to attend to urgent electrical problems. We understand how much a power failure can affect your life, and that you want it repaired as soon as possible. We will get there fast and fix it right the first time. Paul’s is a full-service residential electrical service. We’ve been around for 18 years and know all there is to know about home electricity. 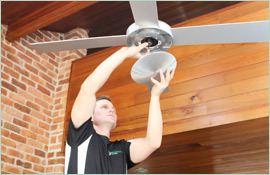 From power points to smoke alarms, ceiling fans, and lights, we do it all. We even work on power poles. We are your trusted local emergency electrician in Greenacre as well, so rest assured that if you have power issues at night or on the weekend, we’ll be there fast, ready to work. We have a fully stocked truck ready to handle most jobs, so you don’t have to wait for parts. 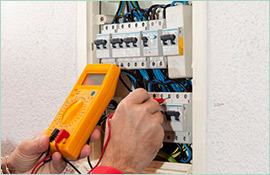 Let our highly-trained electricians take care of whatever electrical emergency you have. 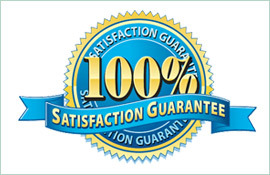 You’ll love our friendly staff and commitment to excellence. To book an appointment for an emergency electrician in Greenacre, call us now on 0409 337 439.